Reading the published edition of the Government Industry Strategy, Construction 2025, released yesterday I had two metaphors in mind, Snakes & Ladders and Babies in the River. Metaphors at first annoyingly contradictory, but on reflection pleasingly complementary. 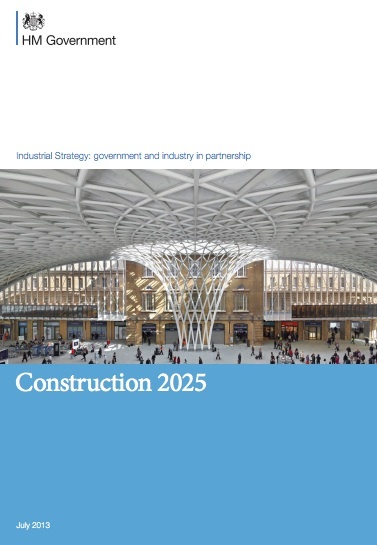 The Construction 2025 Industrial Strategy vision contains ambitions to cut costs, deliver projects faster, reduce carbon emissions, improve image and exports, through working digitally, sustainably, and yes more efficiently. The strategy lacks any significant vision for transformational change, in the structure, purpose and thinking for the industry. Babies in the River is such a great analogy here, as we busy ourselves rescuing babies out of the river without going up river to understand why babies are coming down the river in the first place. A strategy for doing less bad, rather than more good? From today’s thought leaders and leading organisations, across many sectors, we can start to see what the future may bring – a circular economy, restorative sustainability, purpose driven business models, diversely-led industries, healthy products, transparency driven by social media and social responsibility. All missed opportunities in the 2013 Industry Strategy. It is tempting to say not to worry as another strategy will be along soon, but whilst 2025 sounds futuristic it is just around the corner, we have limited time for a raft of reasons. The strategy quite rightly states this is just the start, and a ‘people-led’ strategy. Going forward to deliver, we need real new thinking – the kind of visionary thinking that challenges the status quo and sets a vision. And the Circular Economy and Living Buildings Challenge are two great exemplars to learn from. This entry was posted in comment and tagged Annie Leonard, Babies in the River, BIM, carbon, Construction 2025 Industrial Strategy, Living Building Challenge, mel starrs, snakes and ladders, transformational change on July 3, 2013 by martin brown. A game of Snakes and Ladders? ….